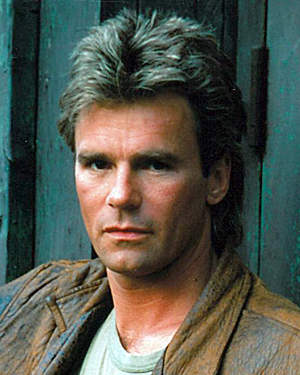 If Richard Dean Anderson hadn't dug his toes in, an iconic 1980s character could have been saddled with a very different moniker. Part of the hit television series' MacGyver's mystery was the eponymous hero's first name, a secret they kept until the seven-season show's final episode in 1992. Speaking from his home in Malibu recently, ahead of his visit to New Zealand for this month's Armageddon Pop Culture Expos in Manukau and Christchurch, Anderson admits that producer Henry Winkler (aka Happy Days' Fonzie) had his heart set on calling the character Stacey. "We didn't have a first name for him for the longest time and Henry tried to straight out name him after his wife. It was Stace for a while, but that just didn't fly." Instead, Anderson says he got inspiration from a Vancouver event he attended which celebrated local policeman and fireman. "It was at a big stadium and there was a huge LED board screen that was flashing what I think was the mayor's name - Angus Reid. I got mesmerised by it and realised that had to be MacGyver's first name. I ran it past our executive producer and his jaw dropped. It was the perfect name - Scottish and proper." What seems even more incredible to a modern audience is that they managed to keep the secret under wraps right up until the episode aired. "Yeah, I don't think it got sprung anywhere," says Anderson, who was shocked when I told him about the most modern TV equivalent, the death of Will Gardner on The Good Wife. "Really? Who killed him? Was it the drug dealer? Man. Look, I don't think you would have been able to utter the name out loud now without somebody hearing it." Now 66-years-old, the Minnesota-born actor, who got his start on the medical soap General Hospital (and later spent 10 seasons on Stargate SG-1), believes the appeal of MacGyver lay in its timing and family friendly nature. "I think, in 1985, television was ready for a character that wasn't a detective with a gun and the tone of the show was such that it could be shared by the whole family." 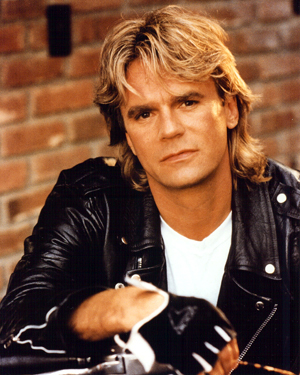 However, despite that, or perhaps because of ongoing lower back problems caused by some of the stunts on MacGyver ("I've had an inner dialogue about whether it was wise to do my own stunts ever since," he says), Anderson actually has fonder memories of the 1995 Western sci-fi series Legend. "That was my favourite project to work on - short-lived as it was. It was the first time I was able to toy with character. MacGyver was a pretty straight guy, but Ernest Pratt was a drinker, a gambler and a womaniser who smoked cigars - in my younger days it would have been typecasting," he laughs. "But it was so much fun to do. We shot it in the desert of Arizona, which is just perfect for a Western. I just had a ball. It was also my first venture into producing - it was like a new toy basically. I got to make decisions and develop things around some of my ideas - and I got to wear a moustache, grow my own even. "It was probably the first full one I ever really had - I never really cared about them one way or the other. I grew this thing out and it became a pet - it got real full. I was pretty proud of it for a good, long time. I tried recently in the last year - I had a 'scruff' going and it just wasn't the same. For one thing, my hair's greyer now and it just didn't have that pop." Anderson says he's looking forward to this second trip to New Zealand, as last time (when he was here for the 2014 Auckland Armageddon Expo) he didn't get to explore much of the country. "It was pretty focused last time, I'd very much like a little time to breathe a little bit," he says, aware that he's got the best part of a week between his Manukau and Christchurch appointments. When asked what the appeal of fan conventions like Armageddon are for him, he's quick with a pretty thorough answer. "I really live a private, reclusive live. The house that I've built for myself is the perfect house for me. I have my dogs, but I don't get to meet people. I don't like the bar scene and I'm not a party guy - I've had my fill of that from the early days. But I like meeting people and there's no better way to do that than to have them come and line-up to meet you. I really enjoy that aspect of it. "[Star Trek: The Next Generation star] Jonathan Frakes and I have met at these things a couple of times. We just love to watch the array of costuming that people are willing to don. It's just so encouraging and elating to watch the commitment and I love that these places offer such a wonderful venue for them to do that in - it's safe and nobody is going to judge." MacGyver screens weekdays at 4:35pm on Jones! 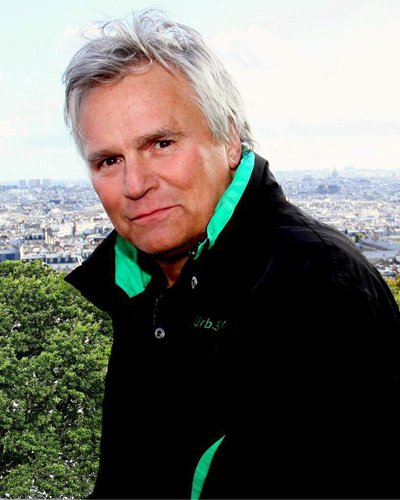 Richard Dean Anderson will be in attendance at both this weekend's Armageddon in Manukau and next weekend's in Christchurch. For more information, see armageddonexpo.com. Croot, James. "MacGyver Reveals the Truth Behind His First Name." Stuff.co.nz. March 4, 2016.